You will have plenty of room in this newly remodeled 3 bedroom 2 bath home that has taken on a new personality with her inside face-lift! Located across from a dedicated beach. amenities include a fully equipped kitchen, 4 cable TV's, internet, microwave, washer & dryer, large garden tub, with shower, glass top stove, large dining room table, 2 couches in living room to watch large flat-screen TV. Nice patio set in front of house to relax and grill your catch of the day. You have a great view of the gulf from the nicely furnished patio outback. 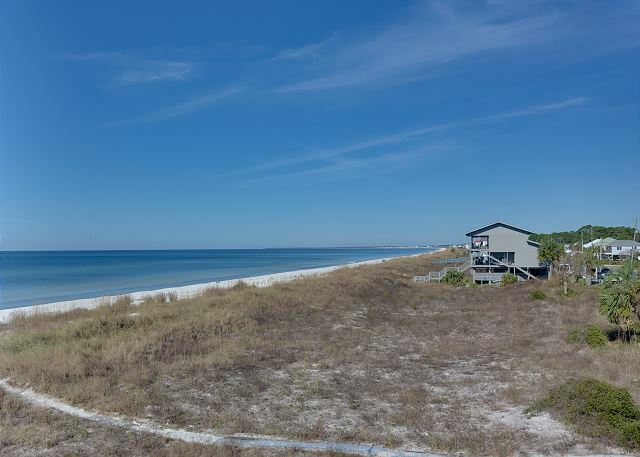 Located on an excellent stretch of beach, the gradual shore depth is perfect for swimming! Perfect for a larger family and a great value for the location!